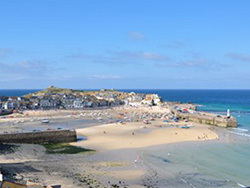 St Ives has many guest houses and bed and breakfast establishments - more than fifty at the last count. In the main holiday season, which here runs from Easter to September the town gets very busy - so its a good idea to book early. From October to March, apart from Christmas and New Year, its a bit quieter, but the best places do still get booked up well in advance. A particularly fine example of the bed and breakfast style hotels that you find in St Ives. The building is part the town's seafaring heritage - originally a sea captain's house and as such its rooms offer excellent sea views across the bay and harbour. 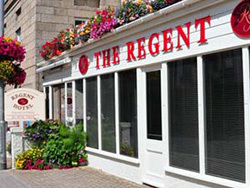 The Regent offers the best of facilities and Cornish hospitality. It has been a hotel since 1926 and has been run by the Varnals family for more than 30 years. 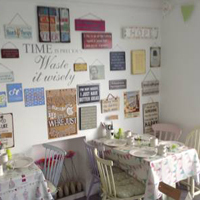 It has a loyal customer base who enjoy the special atmosphere and warm welcome - not to mention the mouth-watering breakfasts. 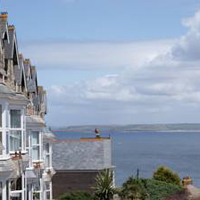 Rooms are comfortable with excellent, modern facilities - most have stunning sea views over St Ives bay and harbour. All rooms are tastefully decorated to a high standard with en-suite bathroom. There is free car parking for every guest. 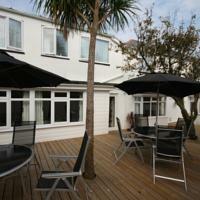 The hotel is perfectly situated - in the centre of town overlooking St Ives Harbour. For further information visit the website or call 01736 796 195. 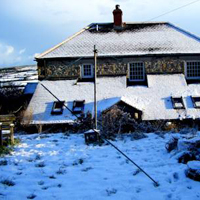 Situated in Towednack - a beautiful and peaceful village - but only a couple of miles from St Ives and the beaches. Some great walks in the Penwith Hills on the doorstep. Breja has two double ensuite bedrooms- in their own wing of the house - ensuring peace and privacy. Their is a cosy lounge for the exclusive use of guests. Lovely views of the countryside. Amie - where guests become friends. 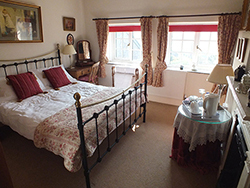 A small family run guest house in a quiet part of St Ives offering first class accommodation in a homely atmosphere. 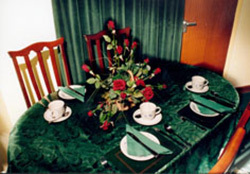 Tastefully furnished and decorated throughout. 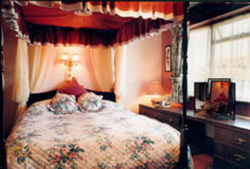 - Amie offers a selection of ensuite double and twin rooms including one with a king size four poster bed. A comfortable lounge with television is available for guests relaxation. A generous full English breakfast is served in the cosy dining room - alternatives available on request. 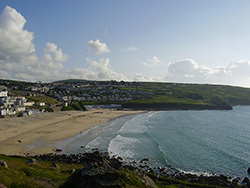 Out of the hustle and bustle of St Ives town centre yet only a short walk to the beautiful coast line of Carbis Bay Beach, local shops and main bus routes. Visit their website more more information and to book your holiday at Amie. 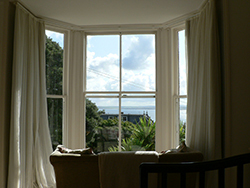 A small and friendly establishment with outstanding views over St Ives Bay. Personally managed by owners Roger and Lora Amos. An attractive Victorian house refurbished to modern standards but with many original features. It has two bedrooms. A double ensuite with sea views. A twin with garden views and a separate shower room and WC next door. Both are simple and modern design, offering a comfortable and elegant place to stay. There is a south facing garden where guests are welcome to relax in the sunshine while they enjoy the views. Private parking at the front of the house is available for guests. 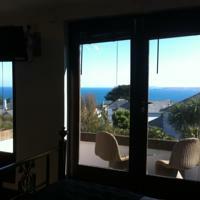 Luxurious bed and breakfast accommodation, with each room enjoying balcony views of the sea. This architect-designed property offers, free parking and Wi-Fi, and an attractive garden. This Edwardian property offers a shared lounge and colourful, pleasant rooms with free Wi-Fi. You can be guaranteed a warm welcome, comfortable beds and a delicious breakfast. In a peaceful location - this small family run guest house offers free Wi-Fi and private on-site parking. 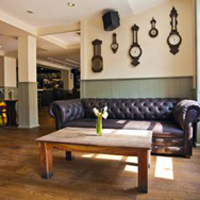 It is just a short walk from the town centre, Tate Gallery and beaches.Guest lounge and patio. Nestled between the Harbour and Porthminster in the heart of St Ives. 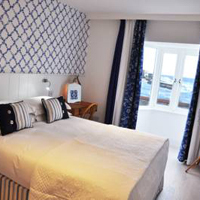 This boutique guest house offers individually designed rooms with free Wi-Fi, Most rooms have views of the harbour. In Carbis Bay, just a stroll from the beach. With free WiFi and free parking. Rooms - ensuite with TV and a seating area. Garden. "We pride ourselves on the extra special touches and customer service." 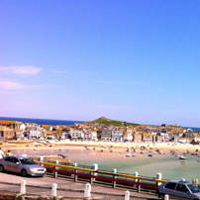 Panoramic sea views across St Ives Harbour. Free private parking. Central location - close to harbour and beaches. Rooms - ensuite bathrooms, flat-screen TV. Vegetarian BnB in the village of Nancledra. Free parking and WiFi. Spacious bedroom - king-size bed and 2 singles. Guests also have sole use of the lounge with a log fire, board games.